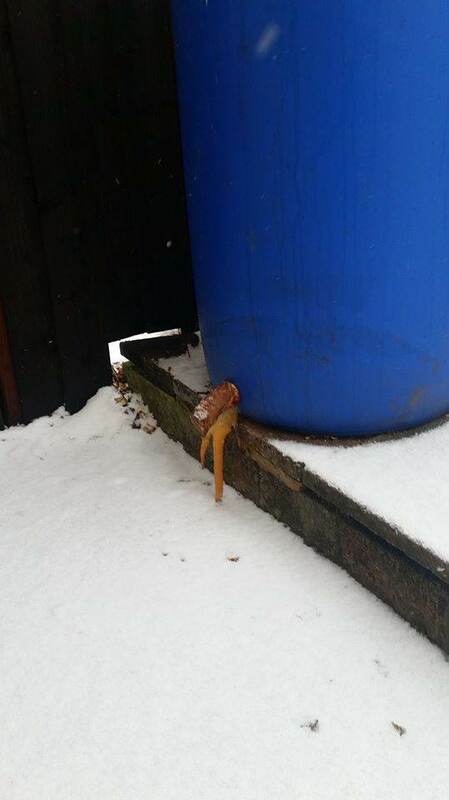 This week has been a slow week for my mushroom growing operation. 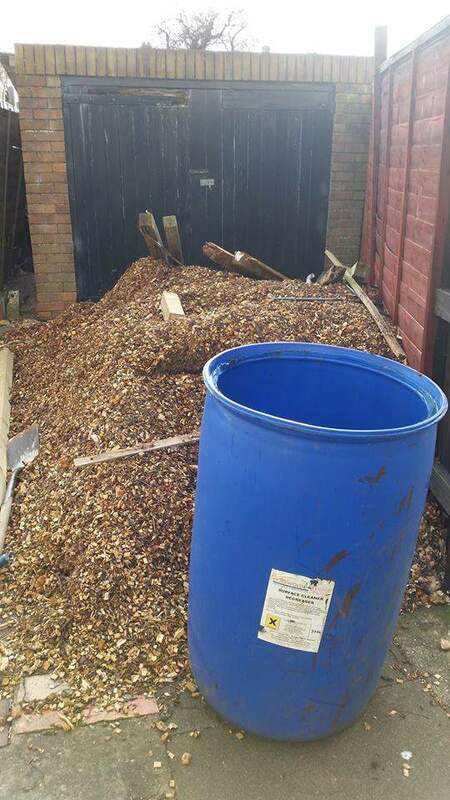 I’ve been expanding my fruiting chamber and I’ll post about that in due course, however, this week’s blog is dedicated to someone called Matt Smalls. 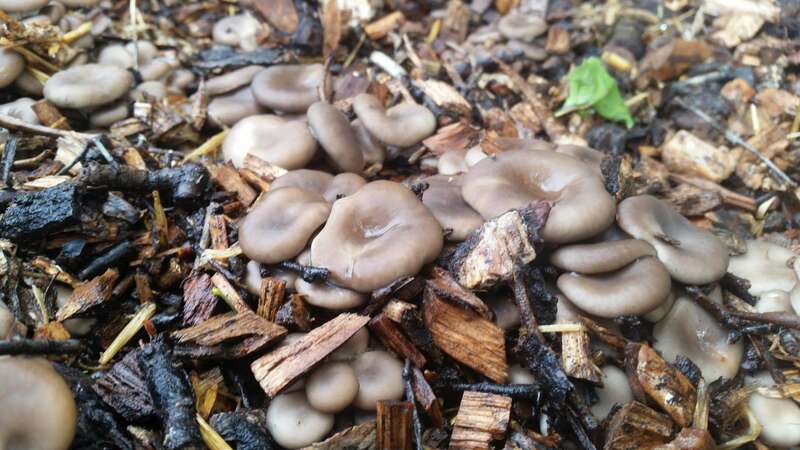 Matt is an admin for a relatively small but very enthusiastic Facebook of mushroom growers ‘Mushroom Growing In The UK’ and contributes regularly with his own content and experience. Today, Matt, is what I’m writing about. The picture below is a few months of Matt’s handy work coming to life. 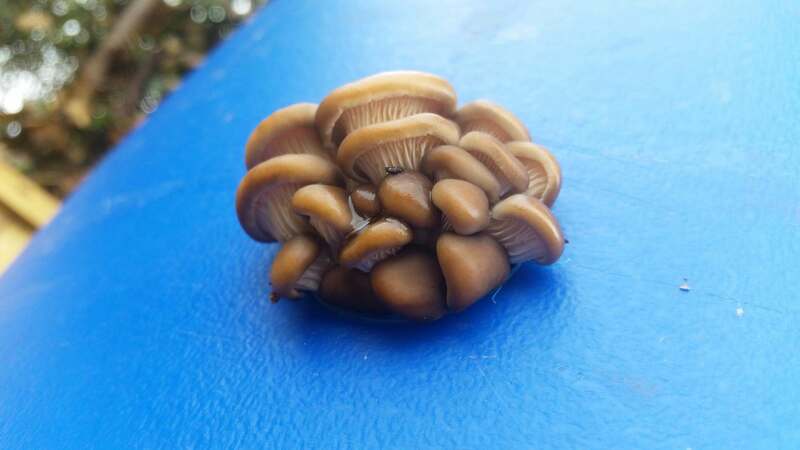 From what I understand, Matt’s life was getting busier and so Matt wanted a lower maintenance mushroom cultivation method that would yield well and be semi-self-sustaining. 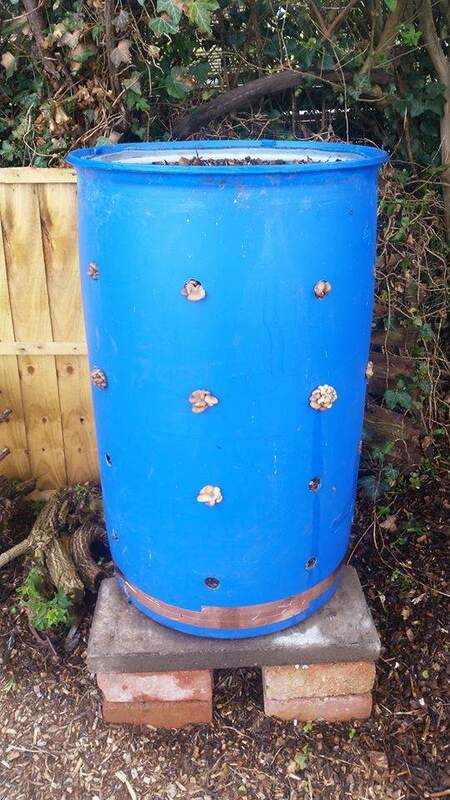 In a nut shell, Matt started with a blue barrel, fermented wood chips in that barrel, poured the contents of the barrel out, mixed it with old contaminated spawn and spent fruiting blocks, re-filled the barrel after drilling around 26 20mm holes (including drainage on the bottom), put it in a shaded spot and left nature to take its course. From speaking with Matt, watching his videos and seeing his pictures I’ve decided to call this the rather predictable name of the ‘Matt Smalls Blue Barrel Fermentation Tek’. This is how he did it. 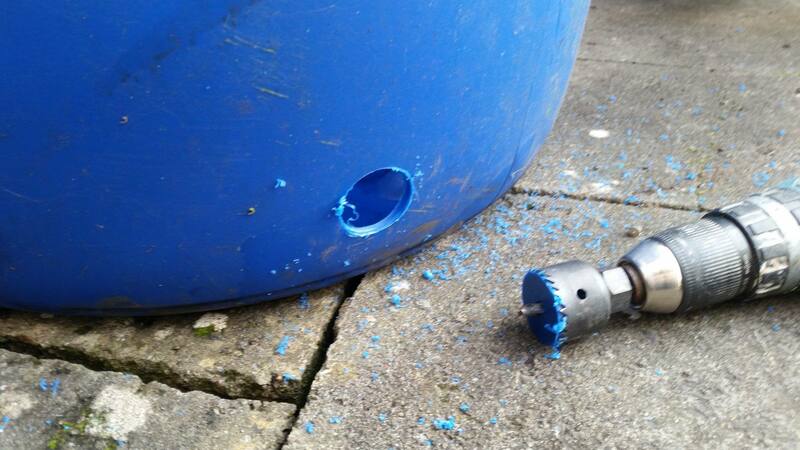 Matt started with a single blue barrel. 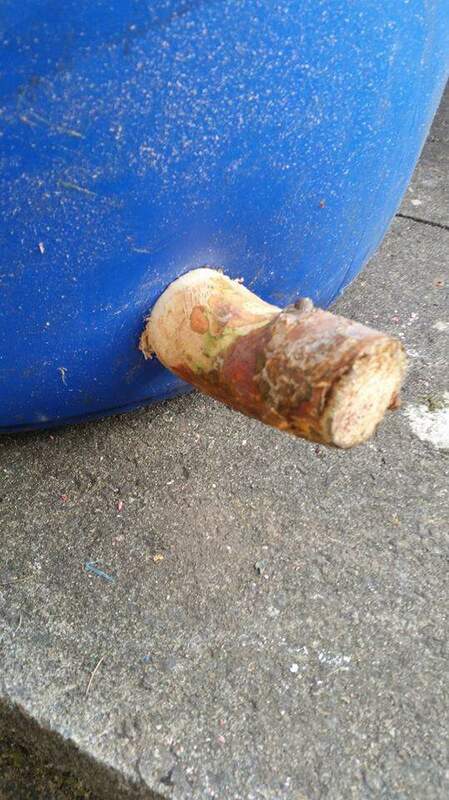 The size isn’t really important although his is a 205l barrel with the lid cut off and a hole cut in at the bottom as a drain plug. Which he plugged with a bottle! 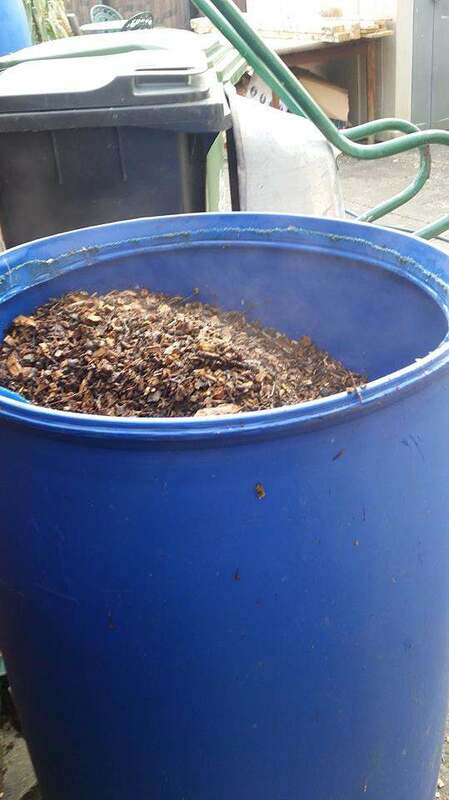 Matt then loaded the barrel up with Tilia (Lime) wood chips about 75% – 80% full presumably to allow for expansion as they absorb the water and the bulk that the spawn and fruiting blocks will add. 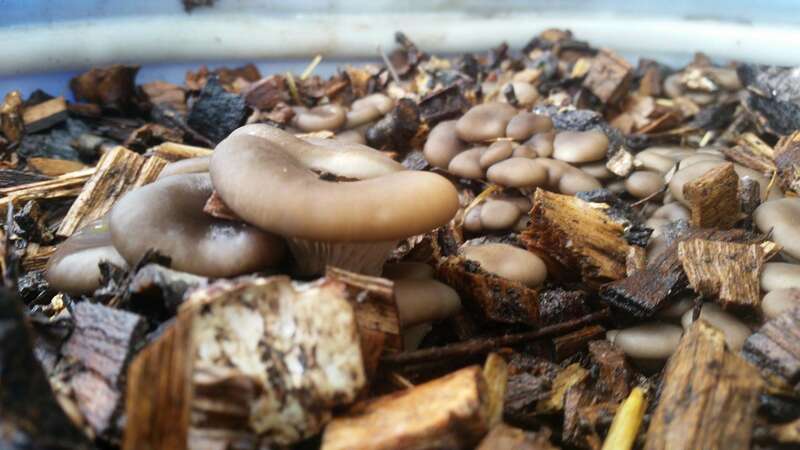 Matt stated the importance of using fresh wood chips for this process, leaving your wood chips to sit will allow other mycelium and contaminants to take foot adding an unnecessary dimension of complexity to the process. 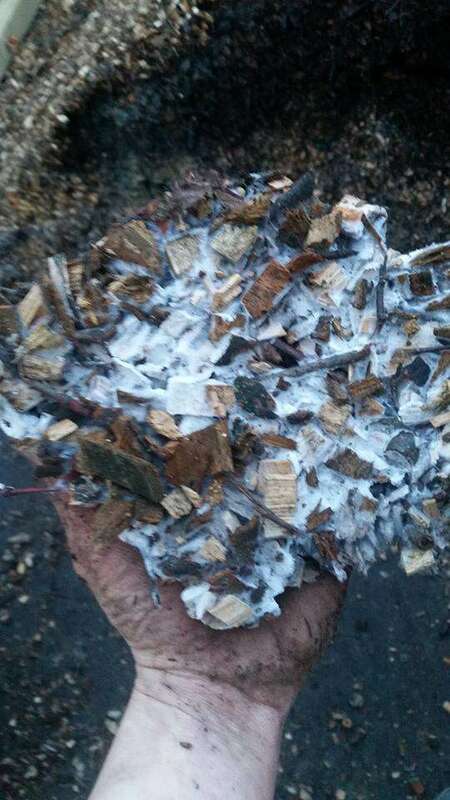 That dust you can see in the picture contains billions of spores and the image below is a lump he pulled out of the wood chips that were delivered Use fresh chips! 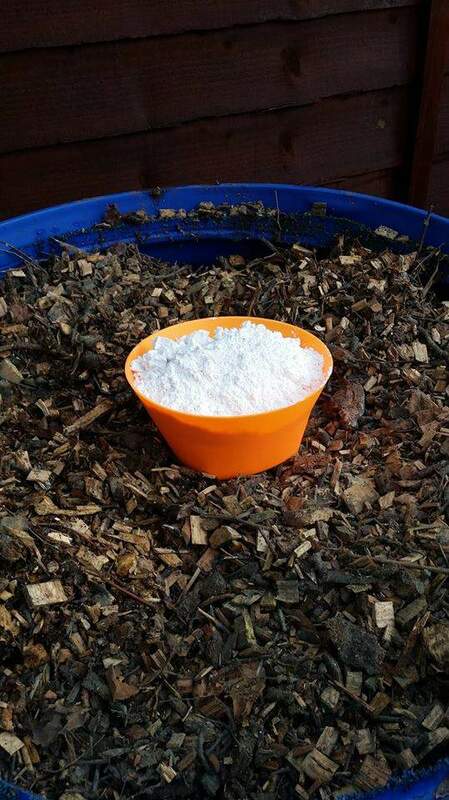 Once loaded with the chips, Matt topped the barrel off with water and a small measure of Gypsum (for extra assurance but not strictly necessary) and let them sit in a relatively shaded area to avoid evaporation for about 12 days. 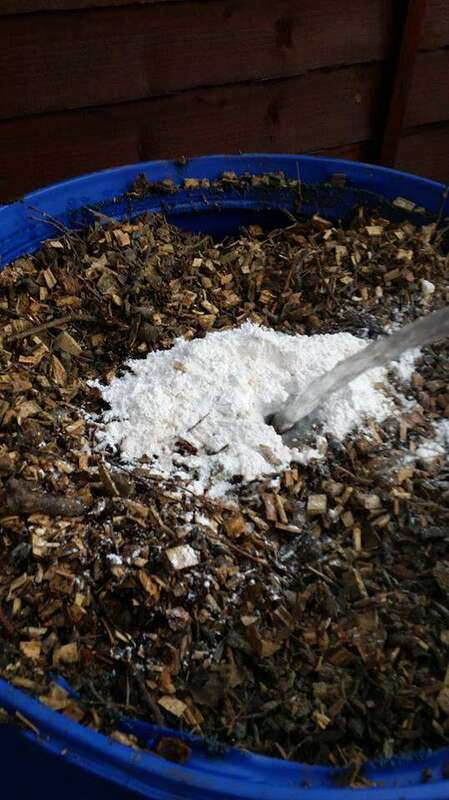 The process of submerged fermentation is an ancient one that is still used in Asia today. 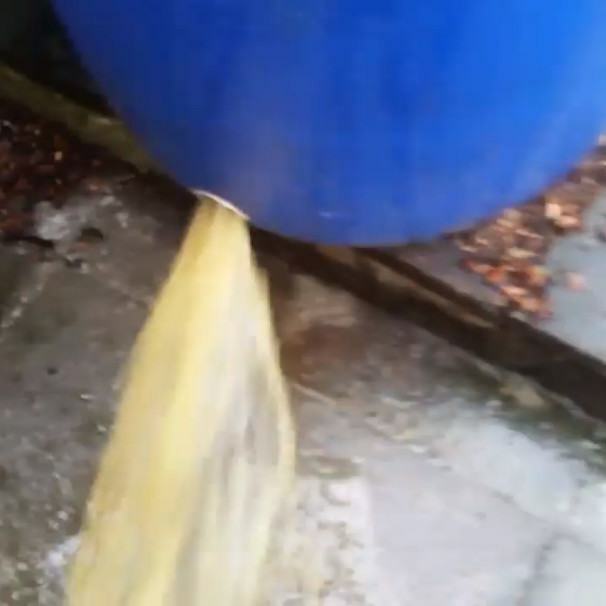 It essentially involves the whole barrel going anaerobic (without oxygen) where the only bacteria that can thrive are those that don’t require oxygen to survive. Matt drained the water which exposed the anaerobes to oxygen, killing them. 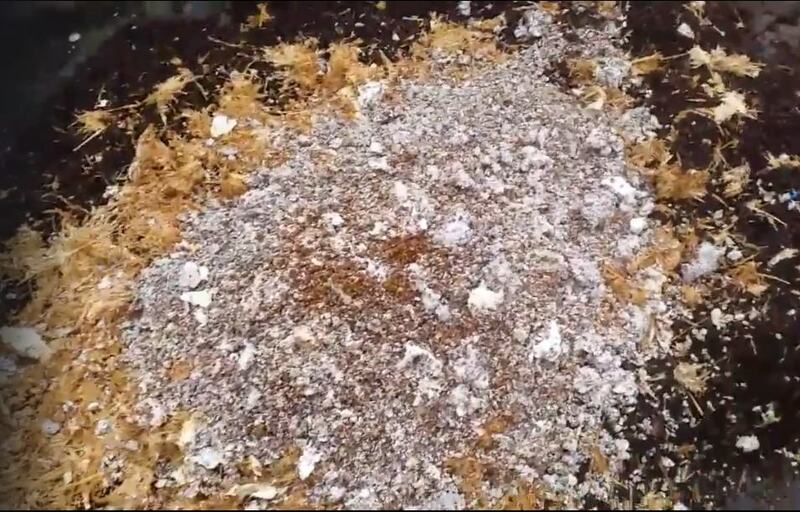 Once the mycelium hits the substrate, it’s ready to go. 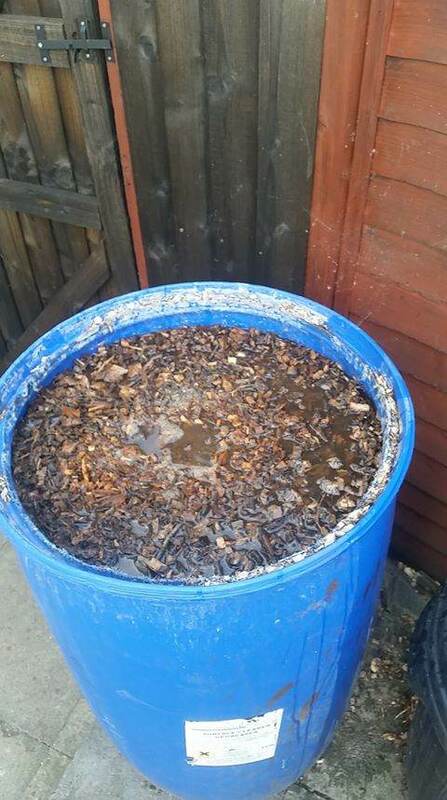 It should be noted that an adequate amount of spawn should be used to out compete any potential contaminants. 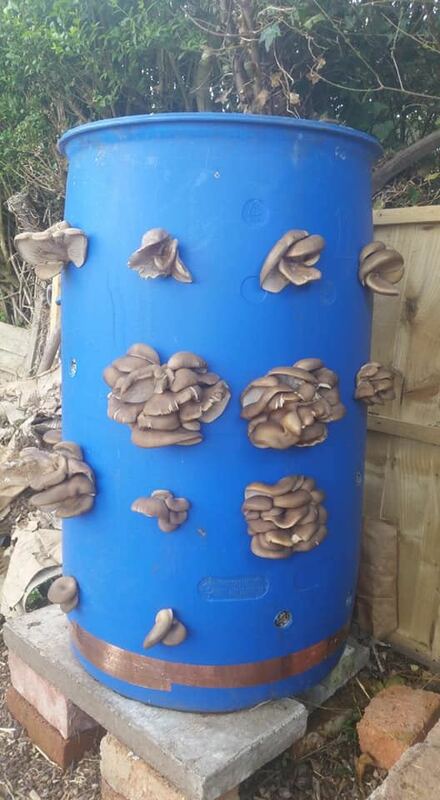 Once drained, Matt poured the barrel contents onto the floor and mixed it with his old Blue Oyster (original spawn from Mushroom Box) spent fruiting blocks and some spawn jars that he didn’t want to use in conventional growing as they were partially contaminated. 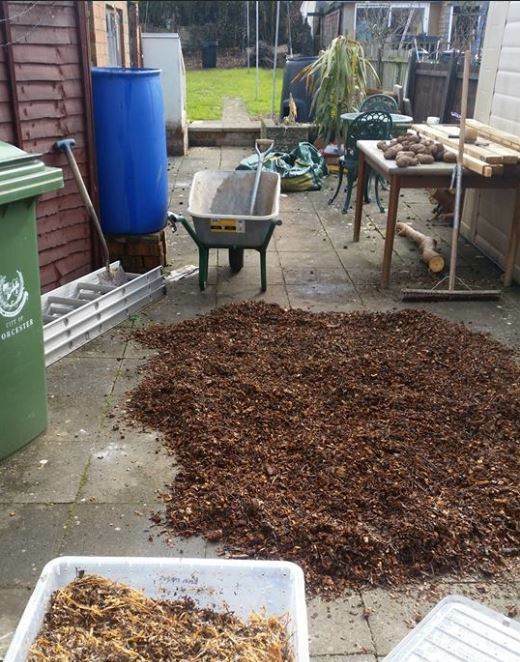 After Matt mixed the spawn into the wood chips (as he only had one barrel at the time) he took the same barrel and drilled around 26, 20mm holes around the barrel as ‘pinning points’ and as a means of fresh air exchange. 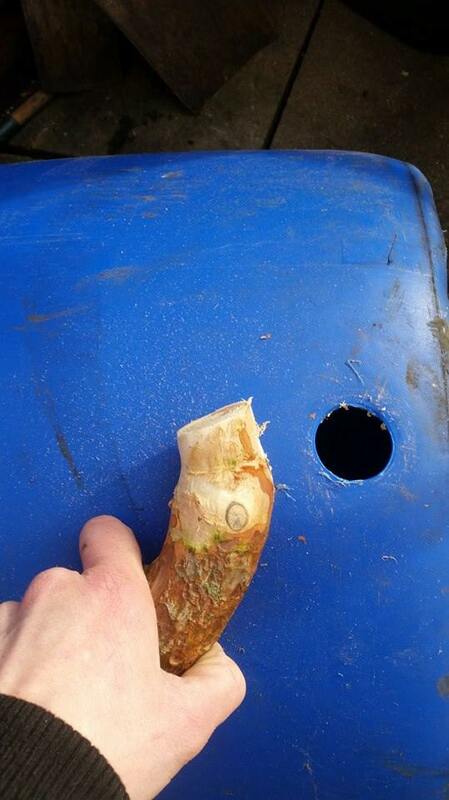 After filling the barrel with the now mixed and inoculated substrate it was a case of letting nature takes it course. 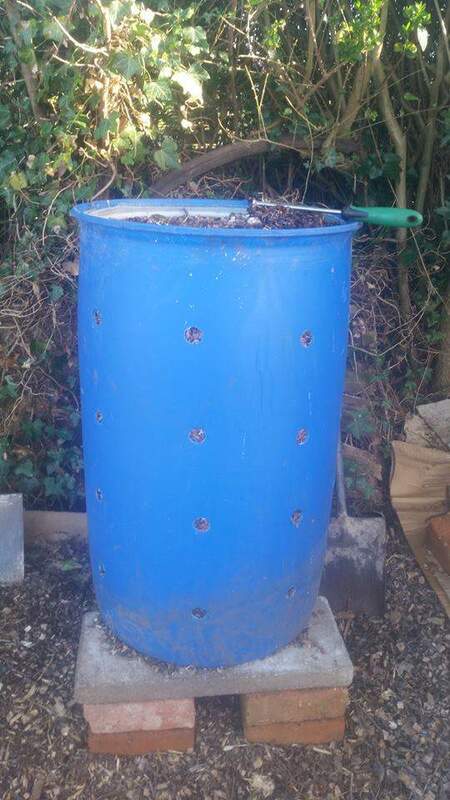 Matt popped the barrel in a shaded part of his garden on top of a few bricks, so it could drain freely and exchange air from the bottom holes too. 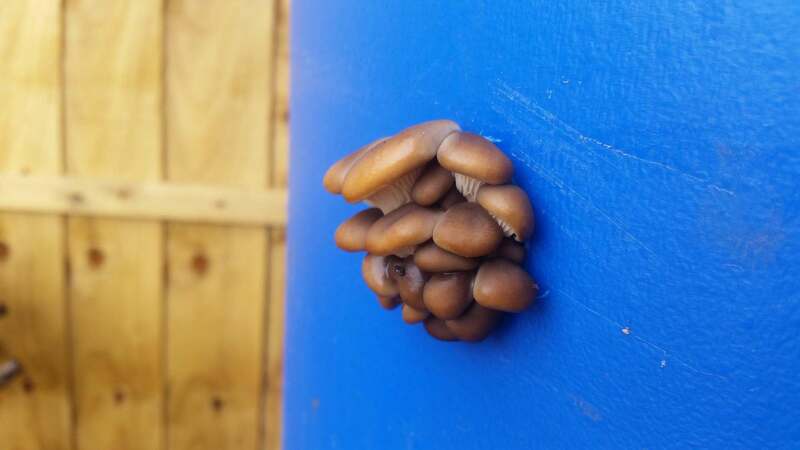 Matt saw his first pins and clusters around 53 days after inoculating and first mushrooms around 55 days and it continues to fruit out of almost every hole and the lid opening. 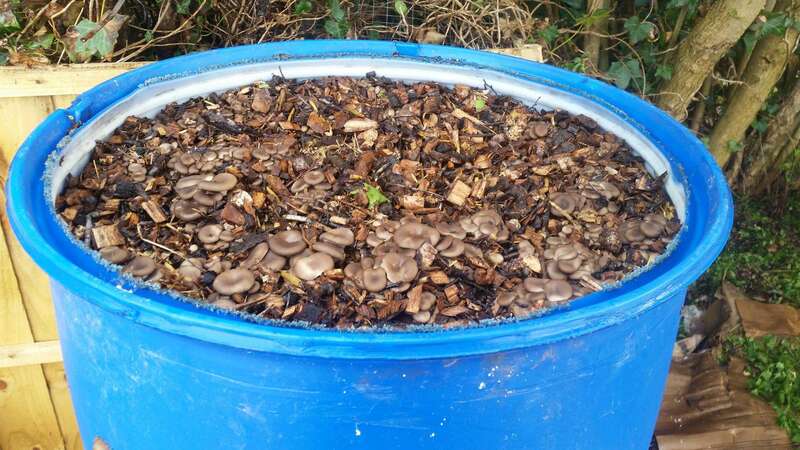 I think Matt has proven to the mushroom community that this is yet another great way to grow! 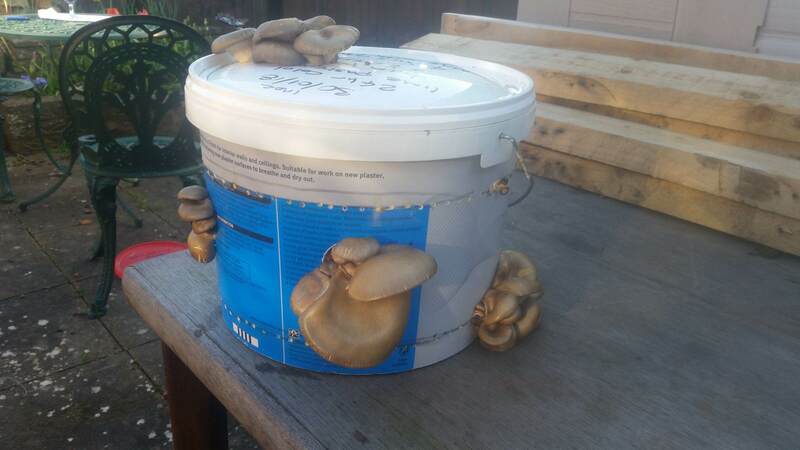 It produces numerous, healthy mushrooms and cost nearly nothing since his contaminated jars and spent blocks were all destined for the compost heap/bin anyway. This whole operation is scalable as again, Matt proved with a few test runs in smaller barrels for proof of concept. 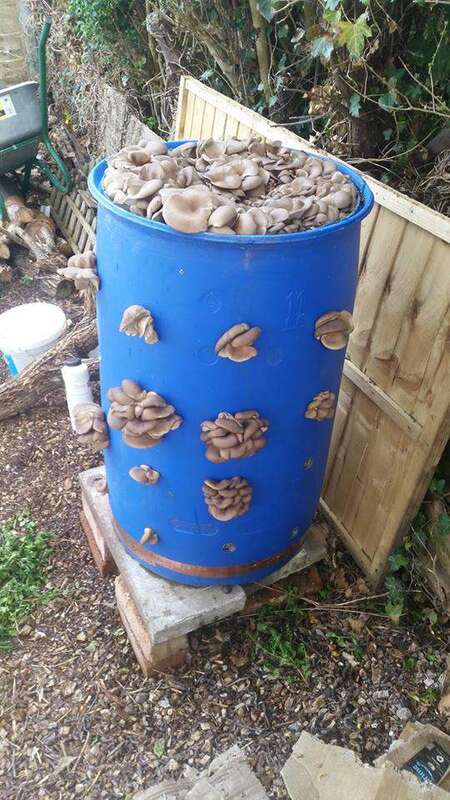 Some stellar advice from Matt for anyone looking to build their own mushroom barrel! 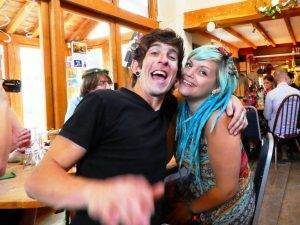 “I’m 31 years old, always been quite passionate about growing things, I’ve held an allotment for 4 years now and absolutely love it. I can get a bit down sometimes and having plants and crops to tend to seems to help a lot with my mood. 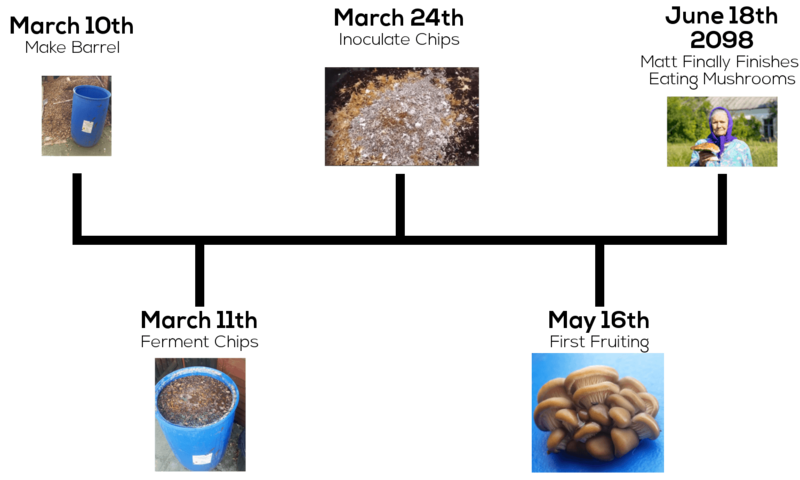 With Matt’s simple, straight forward tek you can see just how simple it is to grow mushrooms without that fear of ‘Oh god, please don’t die’. 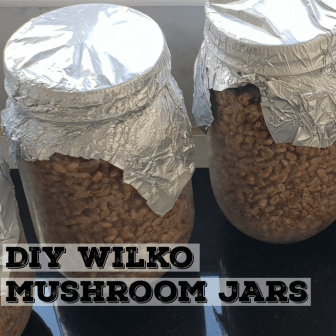 Although not new to growing his own things, Matt has grown Chillies and other vegetables for years, he has only been cultivating mushrooms since November 2017 but has accelerated in his learning and to where he is now. 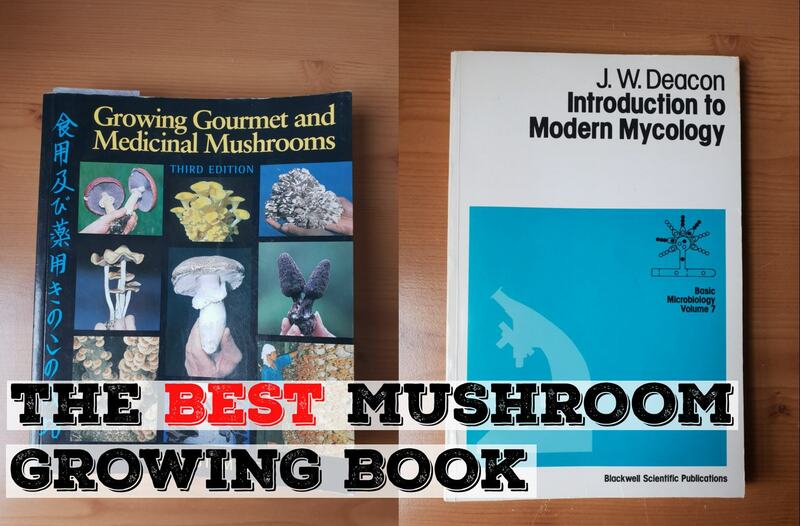 Feel free to get in touch with Matt via the ‘Mushroom Growing In The UK’ Facebook page or on this site using the contact form and I will relay the message to him. 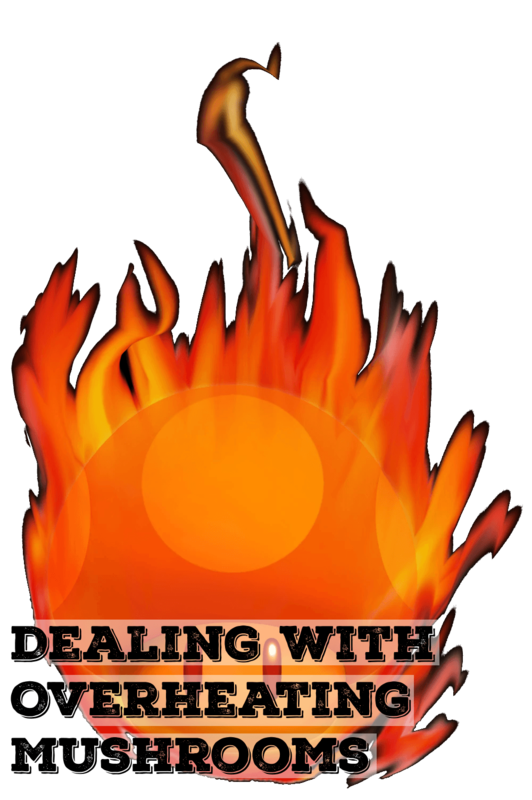 If you’re interested in buying any gear mentioned in this blog you can checkout my shop (coming soon) or you can use the links above which are eBay and Amazon affiliate links which help support the blog! If you click those links, whatever you buy within 24 hours, I will get a small % fee for referring you to Amazon and eBay, it costs you nothing and benefits the blog greatly! Thanks for reading and thanks to Matt for doing this project!